The police pleaded before the CJM court that the absconding accused are trying to influence the witnesses and pieces of evidence by releasing videos. Jitendra Malik was produced in the Bulandshahr court on Sunday where the police asked for his custody for further interrogation in the case. 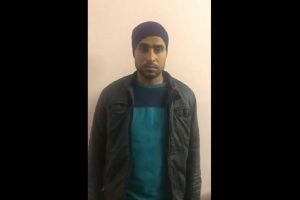 A special investigation team (SIT) of the Uttar Pradesh Police was expected to reach Srinagar later to take Jitendra Malik into custody. 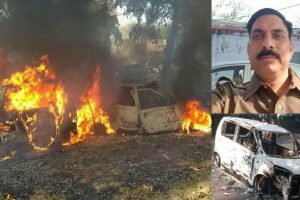 Two other police officials were also transferred in connection with the mob violence earlier this week. 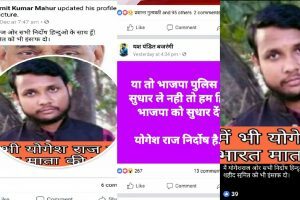 The police have arrested nine accused so far but the main conspirator Yogesh Raj, the district convener of the Bajrang Dal, continues to be at large. 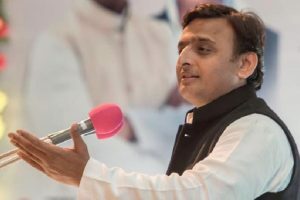 Speaking at the rally held during the unveiling of a statue of a Kargil martyr, Yadav also warned the people to be watchful of the activities of the BJP and its leaders as they had mastered the art of confusing people and fanning communal passions. Another post read “Ya to BJP police ko sudhaar le nahi to hum Hindu BJP ko sudhar denge. Yogesh Raj Nirdosh Hai." (Either the BJP should rein in the police or we Hindus will rein in the BJP. Yogesh Raj is innocent). Surprisingly, the complaint lodged by Yogesh Raj contains names of two minor boys aged 10 and 12 years. 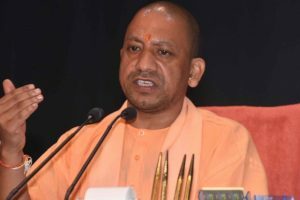 Adityanath held a meeting in Lucknow with chief secretary, DGP, principal secretary (home) and additional director general of police (intelligence). 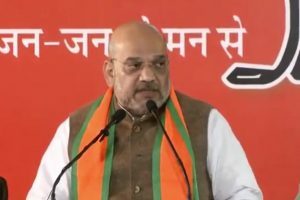 Shah said that the SIT investigation will reveal everything about the incident that rocked the district in western Uttar Pradesh on Monday. 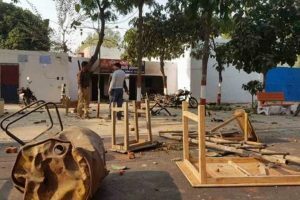 A violent mob of villagers on Monday had attacked the Syana police station with heavy stone pelting and firing for what they said was police inaction after beef was reportedly found in village Mahav on Sunday night. 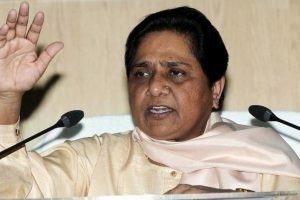 Rajbhar, who is known for his scathing comments against his own government and the Chief Minister, raised questions on the timing of the violent protests. 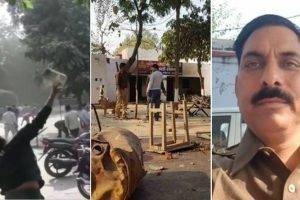 Four people have been arrested so far in connection with the violence after police lodged an FIR against over two dozen people for rioting.